Supremely comfortable for all your long haul flights. Its ultra-long range connects Hong Kong and Paris, London and Cape Town, Los Angeles and Beijing. 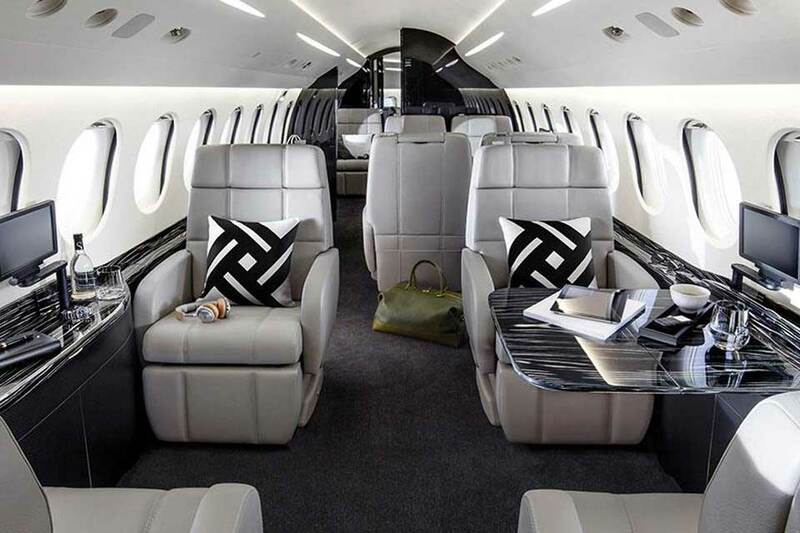 Its cabin — the longest in the Falcon family — provides more comfort. 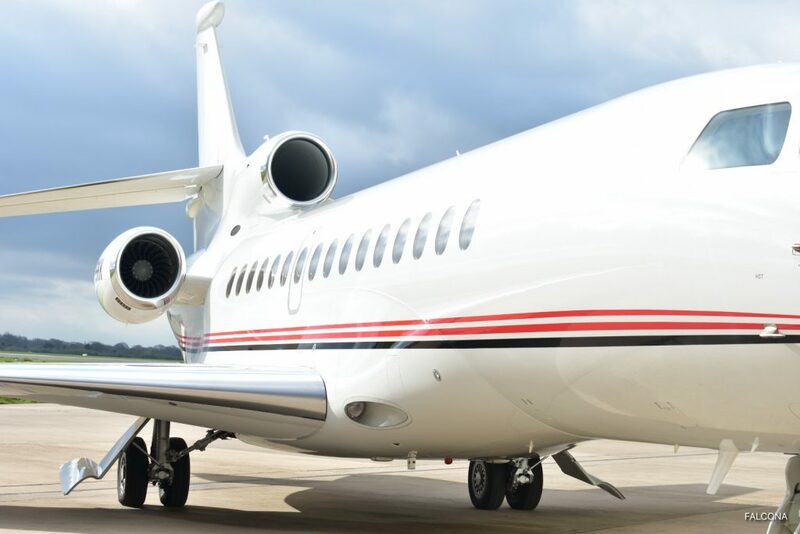 And thanks to overall design enhancements, the 8X is every bit as fuel efficient as the Falcon 7X. 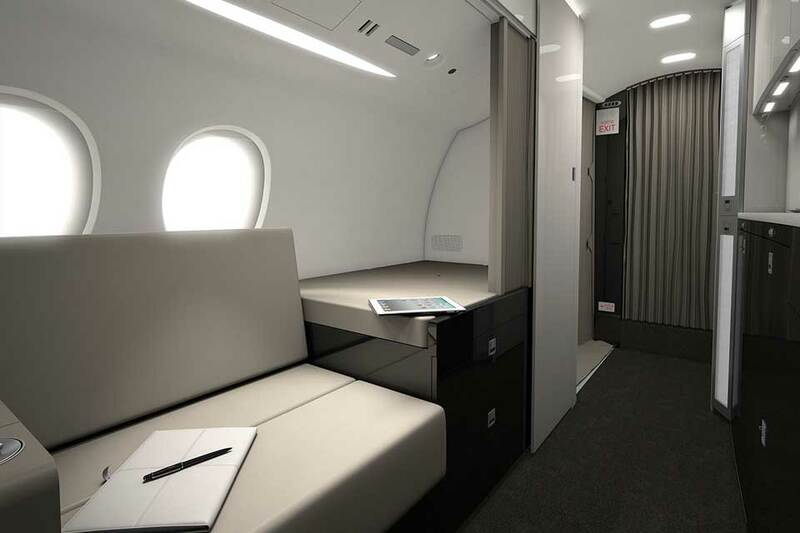 The Falcon 8X continues Falcon traditions of efficiency, performance, flexibility and comfort. With 6,450 nm (11,945 km) range and outstanding short-field performance, the 8X links important city pairs non stop and accesses 500 more airports in the U.S. alone than its competitors. Then there’s the superlative airfield performance of the Falcon 8X, which adds even more reach beyond other aircraft in its class. Steep approach angles and strong climb-out gradients are no problem for the Falcon 8X. Nor are hot and high conditions. And it delivers superior range from both. It is the only ultra-long-range business jet that can use London City’s 3,934 foot (1,200 m) runway. And after take-off, it can fly non-stop to Dubai or New York. Or departing Eagle, Colorado, an elevation above 6,500 ft (1,980 m), it can fly nonstop to Geneva, Switzerland. Thanks to its three engines, which shorten transoceanic routes, the Falcon 8X flies you wherever you are going faster. They also contribute to the 8X’s slow and stable approach speed — a mere 106 knots (197 kph). And its three-engine performance margins allow takeoffs from shorter runways. Noise and cabin altitude are low. Air quality is high. 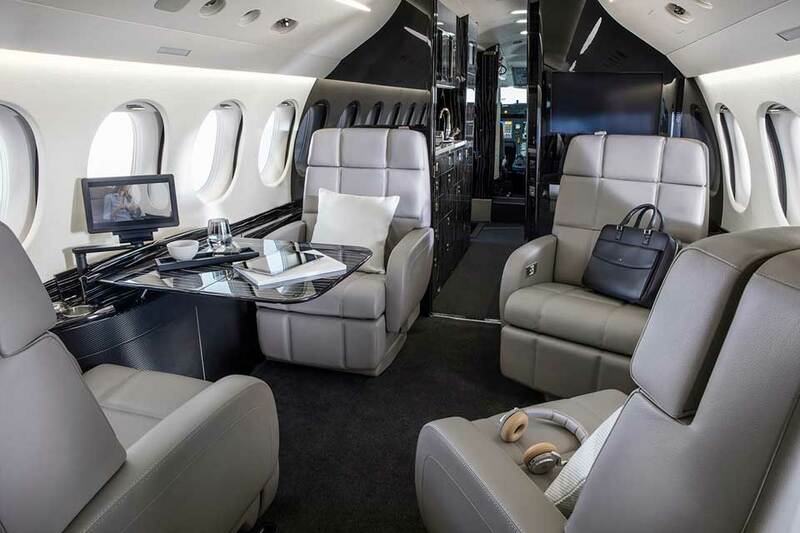 And connectivity is complete in this Wi-Fi environment, which is equipped with our latest FalconCabin HD+ cabin management system. 40,000 feet. So you feel better on board — and less jet lag after arrival. Noise level is also low at a whisper-quiet 52 dB. 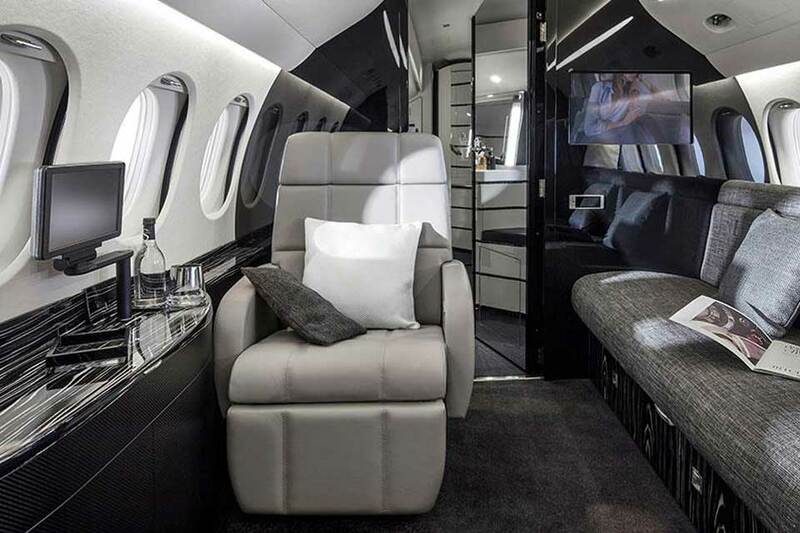 The Dassault Falcon 8X offers the greatest range and the longest cabin in the Falcon line. 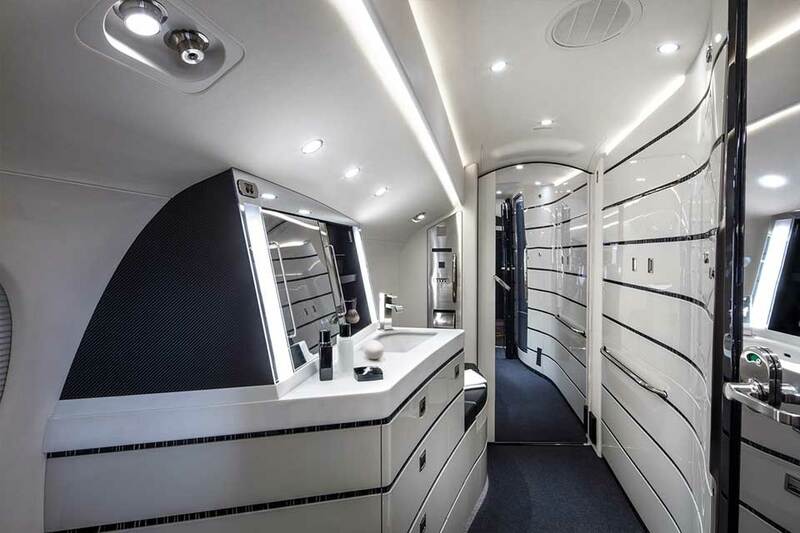 It has a range of 6,450nm (11,945km) at 0.80 Mach with a cabin that is longer than its predeccessor the 7X. 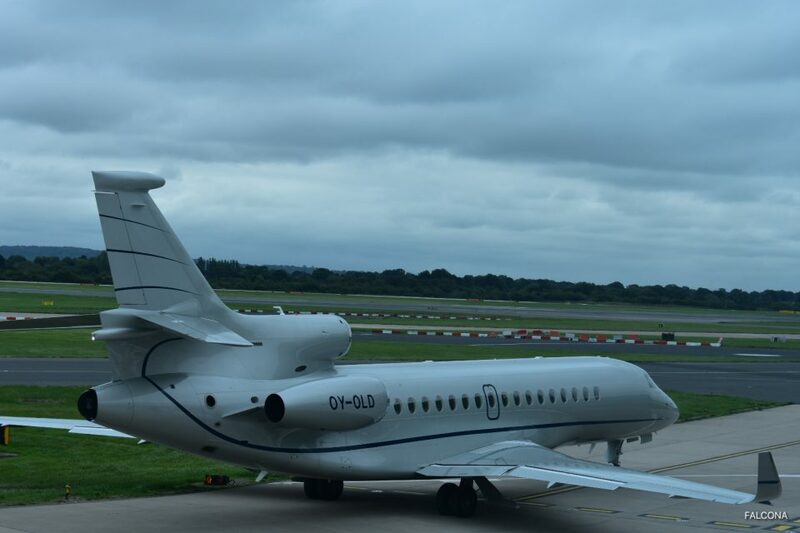 It’s also capable of approaches up to 6 degrees, allowing you to fly to challenging airports such as London City Airport and Lugano, Switzerland. 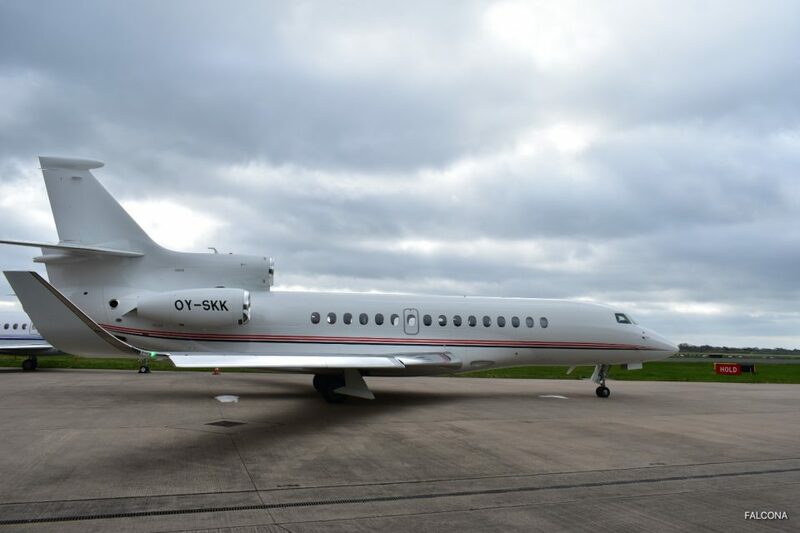 Popular routes for the Falcon 8X are Dubai to New York, Beijing to New York and Hong Kong to Seattle.